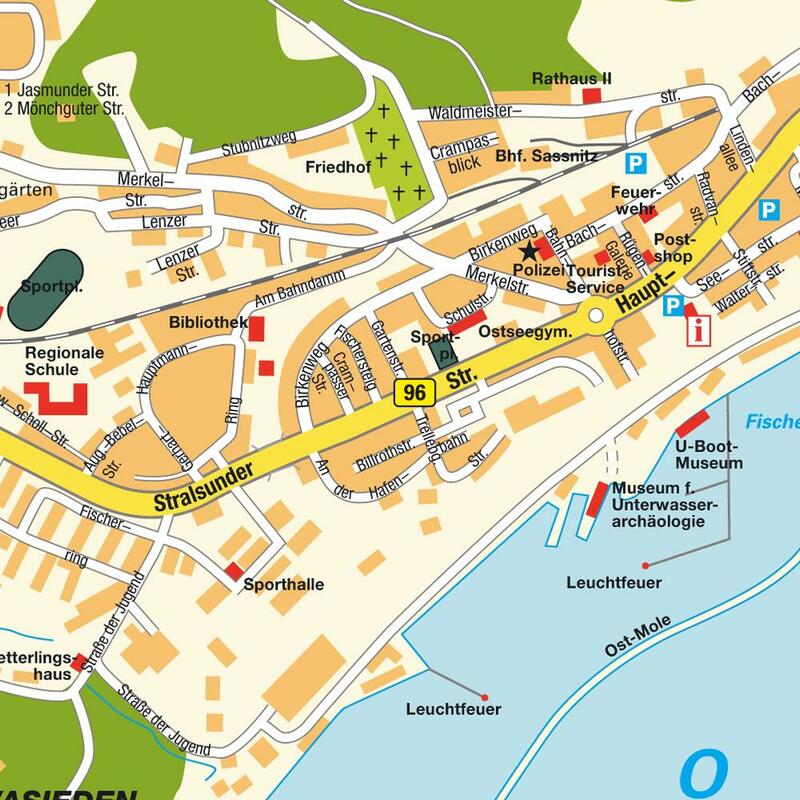 As cruise ships are moored or anchored in this port, you will be tendered ashore to the center of Sassnitz. Smaller ships may dock at the ferry port which is 6 km from town. Shuttles are are normally provided. It is a well-known resort town, and is a gateway to the nearby Jasmund National Park. Sassnitz is home to Rügen's only zoo. The decommissioned British submarine HMS Otus was purchased by a German entrepreneur and towed to Sassnitz to be a floating museum. The growing attractiveness of the Island of Ruegen is making the Port of Sassnitz increasingly popular with German and international cruise operators. From here cruise participants can explore the island – Germany's largest and in terms of landscape also the most diverse – by bus tour, flight over the island or individual excursions. Discovering the Island of Ruegen is just like discovering Germany in one day! Rügen is Germany's largest island (976 square kilometers). More precisely, it is an archipelago of around 30 small islands and peninsulas in the Baltic Sea off the coast of Mecklenburg-Western Pomerania. Take a stroll round the newly resplendent, former imperial spa resorts and you will definitely sense the noblesse of the Belle Epoque. Rügen is a remarkably diverse island of genteel seaside resorts, quiet little fishing villages, mile-long beaches, dead straight tree-lined avenues, wild sea buckthorn hedges, ancient megalithic graves, 100-year-old lighthouses, eerie beech woods, sparkling lakes and the Jasmund National Park, Germany's smallest national park. Many unique attractions such as an old hunting castle from the beginning of the 18th century, a steam train that is still operational and the nearby Hanseatic City of Stralsund with 3 ancient churches and 5 abbeys make a visit to Rügen an unparalleled experience. Stralsund by train takes just under an hour and costs €12 each way with trains leaving every hour.